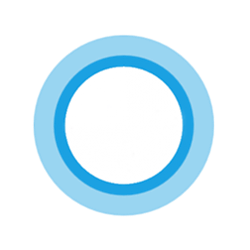 Starting with Windows 10 build 15014, you can change the transparency level of the Cortana search box text to solid, semi-transparent (default), or fully transparent. This tutorial will how you how to change the transparency level of the Cortana search box text for your account in Windows 10. You can also manually modify the Value DWORD to a decimal value of 0 to 100 for a custom transparency level. 1. Do step 2 (solid), step 3 (semi-transparent), step 4 (transparent) below for what you would like to do.